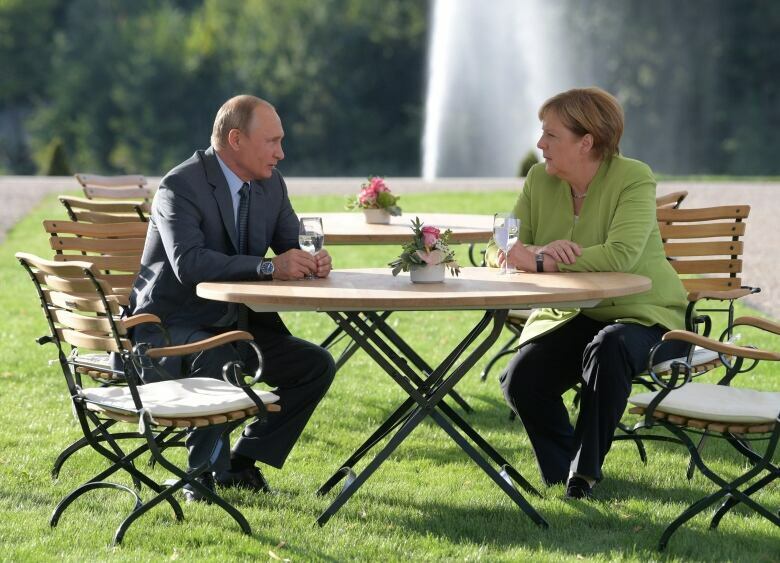 Standing beside Putin, Merkel said both countries — but especially Russia, as a permanent member of the UN Security Council — have a responsibility to tackle these problems. She said she planned to raise human rights issues with Putin, and discuss bilateral relations, strained since Russia's annexation of the Crimea region of Ukraine in 2014. On the planned Nord Stream 2 pipeline to carry Russian gas under the Baltic Sea to Germany, Merkel said Ukraine should continue to have a role in gas transit to Europe. She said she welcomed the start of discussions among the European Union, Ukraine and Russia on that issue. Putin told reporters that such a move had to make sense from a business perspective. "I would like to stress that the main thing is that the Ukrainian transit — which is traditional for us — meets economic demands," he said. "Nord Stream 2 is exclusively an economic project." The United States is pressing Germany to halt work on the pipeline, arguing that it will increase Germany's dependence on Russia for energy. Ukraine fears the pipeline will allow Russia to cut it off from the gas transit business, while Germany's eastern European neighbours, nervous of Russian encroachment, have also raised concerns about the project. 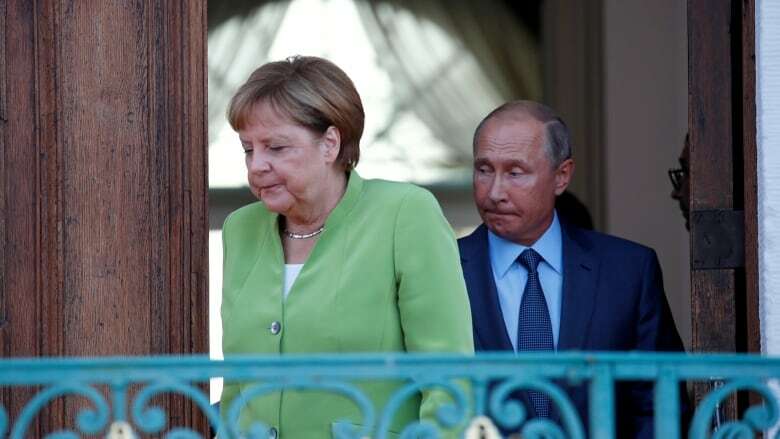 Putin arrived in Germany on Saturday evening after a stop at an Austrian vineyard to attend Foreign Minister Karin Kneissl's wedding to entrepreneur Wolfgang Meilinger. "We want to create new momentum in the Minsk [peace] process," German Foreign Minister Heiko Maas said in an interview to be published by Die Welt am Sonntag on Sunday. Maas said he had spoken with Ukrainian Foreign Minister Pavlo Klimkin this week, and Russian Foreign Minister Sergei Lavrov was due to visit Berlin again on Sept. 14 after a meeting with Merkel in the German capital last month.